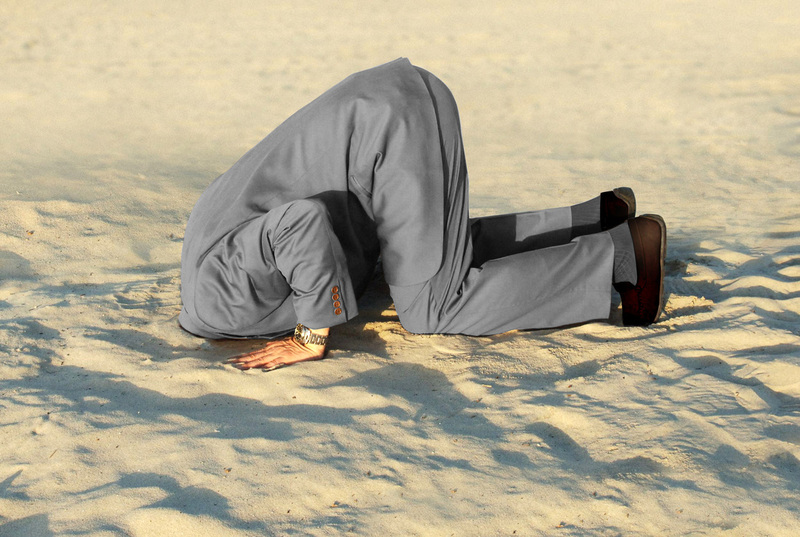 What came to light as on odd discrepancy between GFMS’ Chinese gold demand and “apparent supply” has proven to be a tenacious cover-up by the oldest consultancy firm in the gold market. And not only does GFMS publish incomplete and misleading data on Chinese gold demand, all its supply and demand data is incomplete and misleading. As a result, the vast majority of investors across the globe has been brainwashed to believe total gold supply and demand mainly consists of global mine output and jewelry demand. In reality, the supply and demand data GFMS publishes is just the tip of the iceberg. But the firm is reluctant to admit this publicly, lest their business model would be severely damaged. 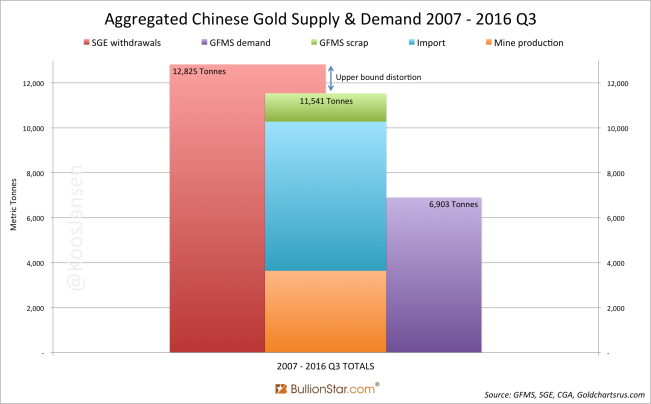 GFMS has denied all allegations about their incomplete Chinese gold demand statistics by continuously making up false arguments. Therefore, BullionStar will debunk, once more, such arguments spread by GFMS – which are supposed to explain how from January 2007 until September 2016 the difference between GFMS’ Chinese gold demand and apparent supply reached over 4,500 tonnes – in order to expose true Chinese gold demand. Exhibit 1. 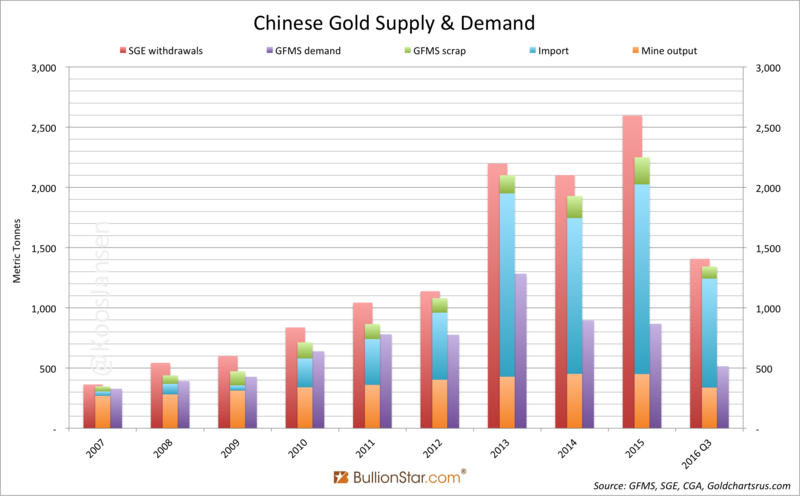 Chinese gold supply and demand data. Apparent supply is reflected by the center columns (mine output + import + scrap supply). Withdrawals from the vaults of the Shanghai Gold Exchange serve as a proxy for Chinese wholesale gold demand. True Chinese gold demand is somewhere in between SGE withdrawals and apparent supply. Since 2013 I’ve witnessed GFMS shamelessly present nine arguments in their Gold Survey reports, but along the way abandoned the arguments that I had debunked on these pages. Indeed, few of all these arguments have ever proven to be valid, illustrated by the fact that GFMS perpetually keeps making up new ones. What’s left is to disparage are the final three arguments from GFMS’ most recent annual report: the Gold Survey 2016 (GS2016). Because GFMS chooses their arguments to be ever more complicated, I’ll have to be precise in my wordings not to allow any margin for interpretation errors. For detailed information regarding the mechanics of the Chinese gold market and supply & demand metrics readers can click the links provided. Tax avoidance (Gold Survey 2016, page 56). Financial statement window dressing (Gold Survey 2016, page 58). Because gold leasing is an old argument it will only briefly be addressed here. 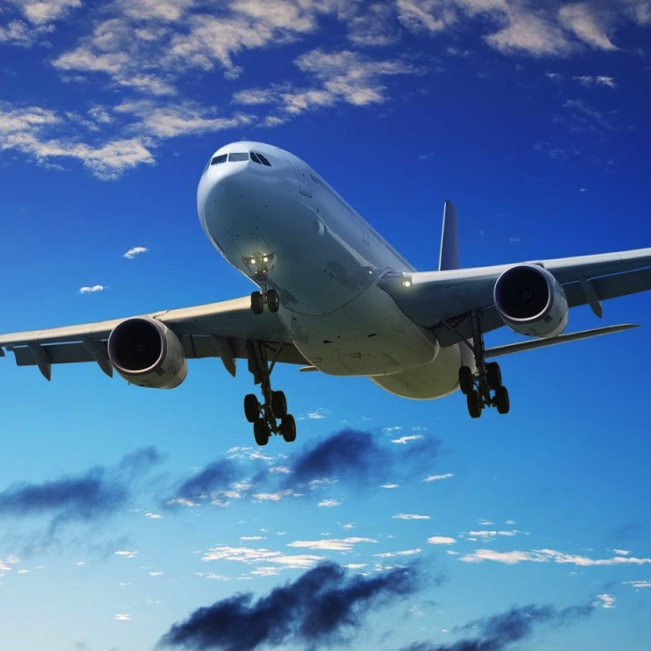 This argument entails an illegal Value-added tax (VAT) invoice scheme. Although this scheme exists, it can not have the impact on SGE withdrawals like GFMS wants you to think. The first and foremost factor behind why we believe the SGE’s withdrawal number differs from the country’s total gold demand is related to China’s current tax system, with some people exploiting this grey area. … the number of industry participants mushroomed in 2014 and 2015 as other traders became aware of the potential loophole. Whoever forges or sells forged special invoices for value-added tax shall, if the number involved is especially huge, and the circumstances are especially serious so that economic order is seriously disrupted, be sentenced to life imprisonment or death and also to confiscation of property. Then, to add to the confusion, further down the GFMS team writes, “of course, all of the activities are considered illegal by the Chinese government.” Maybe GFMS doesn’t understand the difference between tax avoidance and tax evasion, two diametrically different practices, which makes their professionalism highly questionable. 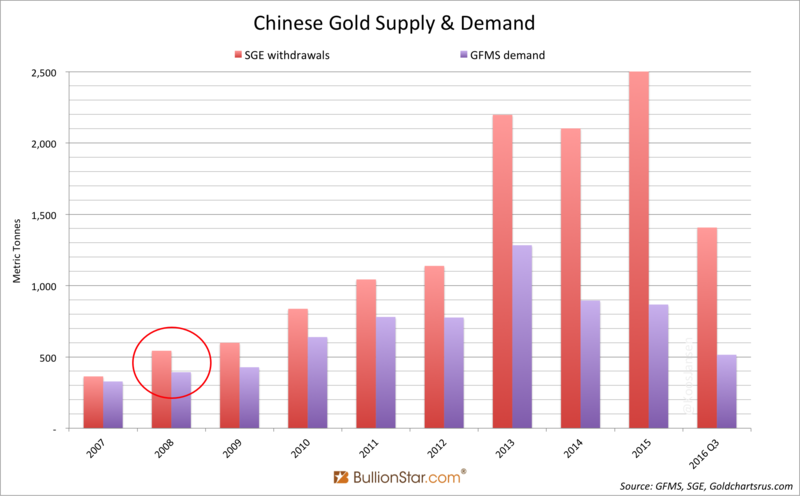 GFMS writes, “the first and foremost factor behind why we believe the SGE’s withdrawal number differs from the country’s total gold demand is related to China’s current tax system”. So we’re supposed to believe that after all these years – GFMS is operational for decades – and all that has been written on the Chinese gold market, now GFMS has finally found the “first and foremost reason” why SGE withdrawals do not reflect demand? Or did it recently stumble upon this scheme to use in its defence? I think the latter. The understand the details of this illegal VAT invoice scheme please read my post The Value-added Tax System In China’s Domestic Gold Market, written to substantiate this blog post. Regarding using VAT invoices for tax evasion, the GFMS team must have read this news article by the Shenzhen Municipal Office. In the news, a company called Longhaitong used SGE VAT invoices for tax evasion. How does it work? For example: the prevailing spot gold price on the SGE is 234 CNY/gramme. Company X tells a mom-and-pop jewelry fabricator that they can supply good quality cheap gold, say the SGE spot price minus 2 CNY/gramme, but without a VAT invoice. The mom-and-pop fabricator wants to buy 1 Kg so it gives 232,000 CNY to company X (the mom-and-pop shop will fabricate jewelry from the gold to be sold covertly without VAT to consumers). Company X buys 1 Kg of gold on the SGE at the spot price of 234 CNY/gramme, paying 234,000 CNY. Then company X gives the gold to the mom-and-pop fabricator but keeps the VAT invoice. Up till now, company X has incurred a loss of 2,000 CNY (bear in mind, because of China’s VAT system buyers pay the spot price at SGE which doesn’t include any VAT, but when companies withdraw the metal they receive a VAT invoice from the tax authority that describes 17 % of the all-in price is VAT, because the gold leaves a VAT exempt environment). However, company X can then sell the VAT invoice for 4,000 CNY to, in example, a brick trader. Company X effectively makes 2,000 CNY. If the brick trader alters the subject header on the invoice from “gold” into “bricks” he can tax deduct 34,000 CNY (234,000 / (1+17%) * 17%) from his VAT payable. In this scenario, the brick trader effectively makes 30,000 CNY (34,000 CNY minus the 4,000 it paid to company X). Naturally, all exemplar numbers can vary. For sure this illegal VAT scheme exists and has been used. But, only to a limited extent – in my conclusion I will tell you the upper bound. 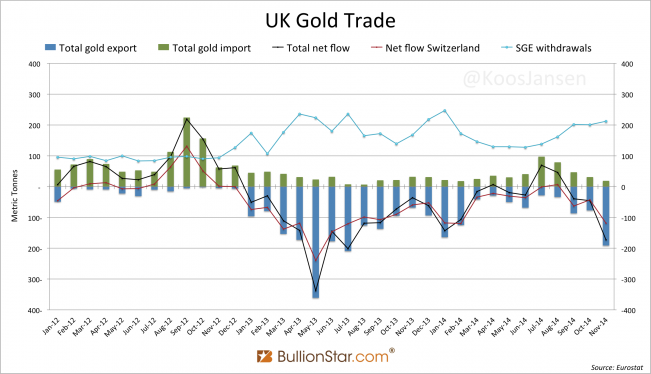 Mind you, in the scenario I just described the gold does meet demand, albeit through an illegal scheme! In addition, the discrepancy between the GFMS Chinese demand figures and SGE withdrawal numbers first appeared in 2008, and have exploded since 2013. Exhibit 2. 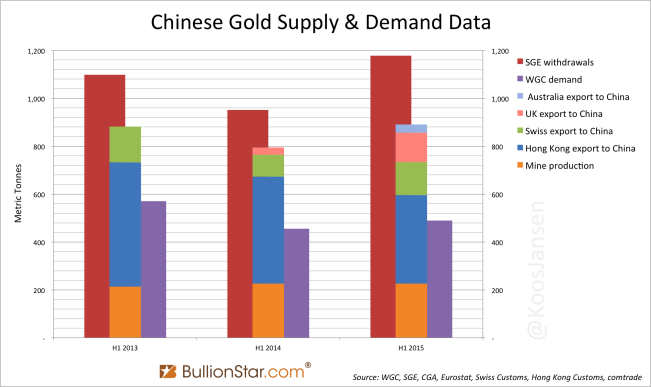 Chinese gold supply and demand data. 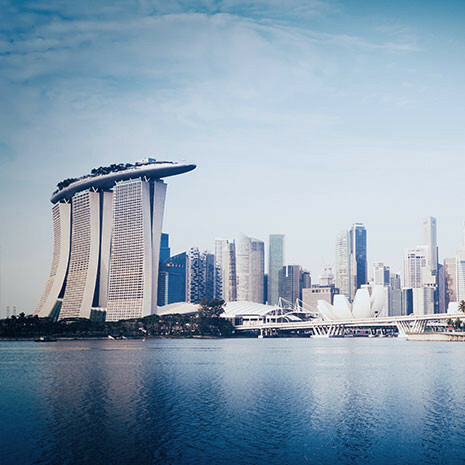 The GFMS team wants readers to believe that it was the tax scheme that caused the discrepancy between GFMS Chinese demand and SGE withdrawals since 2013, but the VAT regulation regarding gold has remained unchanged since 2002. Is it believable that criminals found the possibility of these illegal practices 11 years later, exactly when Chinese demand exploded? No. If you click this link, you will see a similar incident that happened in 2010 and was reported at the end of 2011. The VAT scheme has existed for many years and crime incidents happen, but not like GFMS wants you to think. If the GFMS team was indeed aware of the illegal practices as late as 2013 and thought that was the year when these practices first emerged, then GFMS is not properly informed in the Chinese gold market. One of our contacts with some understanding of this activity estimated that just from Shenzhen alone, such trading activities could have possibly impacted the SGE’s withdrawal volumes by a few tonnes per day. 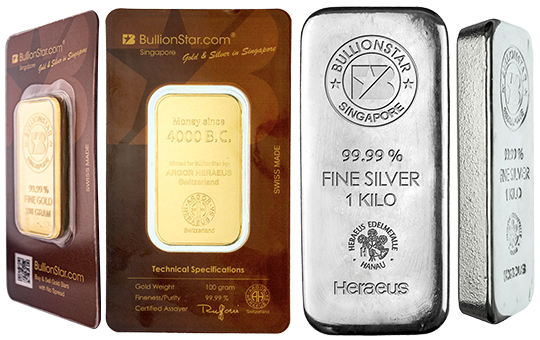 Approximately half of the gold being sold in the black market at discounts would eventually flow back to the SGE. In my opinion this is speculation. According to the news available, buyers in the black market are those who want the gold to fabricate jewelry that eventually is being met by true demand. In contrast, GFMS wants readers to believe half of the gold involved in the scheme flows back to the SGE. But bars withdrawn from the SGE vaults are not allowed to re-enter, only if they’re recast into new bars by SGE approved refineries (the gatekeepers of the Chinese chain of integrity). For gold involved in VAT invoice schemes to flow back to the SGE, technically SGE approved refineries would be complicit. Though the SGE conducts a campaign to crack down on such illegal tax activities. As stated above, the VAT scheme is real, though it can not involve as much gold as GFMS wants you to believe. Unfortunately we can’t compute the exact amount recycled through the SGE through this practice, we can only identify the upper bound, which we’ll do in the conclusion. As background information: when gold is withdrawn from SGE vaults and promptly flows back to the SGE, this overstates withdrawal numbers as it creates equal demand and supply that has no net effect on the price. Therefore, such recycle flows should not be counted in supply and demand statistics. Readers can click this post for more information. Some companies attempted to build up their revenues by merely trading and withdrawing physical gold from the SGE vault so it would appear they have a high level of business activity, while in reality there is no real genuine demand behind this. Trading can build up revenues but why do these companies withdraw gold? That doesn’t make economic sense. If a company buys gold on the SGE and leaves the gold in the SGE vault, the gold will be recorded as “inventory” on the company’s balance sheet. 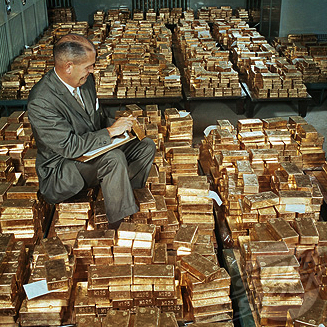 If the company then withdraws the gold, the gold is still regarded as “inventory”, so what’s point of withdrawing gold? 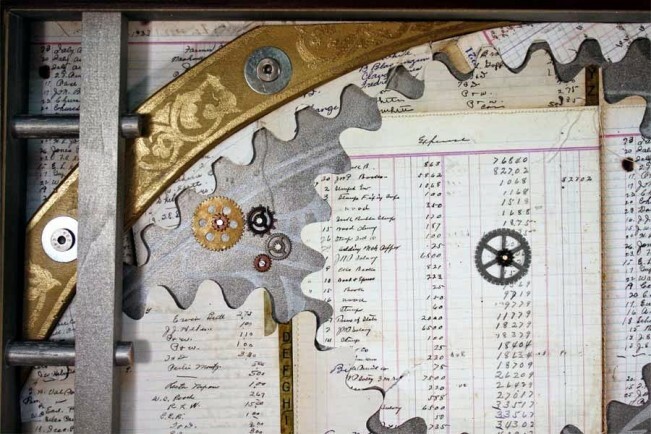 Changing the location of the gold doesn’t change the accounting nature of the gold. It is technically possible to buy gold on the SGE, withdraw, refine it into new bars, redeposit the bars into SGE vaults and sell the bars. However, this will incur expenses. When the point is “window dressing”, why incur unnecessary expenses? More logic would be to leave the gold in the SGE system. This argument is false. Retailers often prefer to sell a portion of their working stock at a discount directly to refiners in order to maintain inventories at a desirable level. Why waste the fabrication costs of jewelry when retailers can sell the products at a discount to customers? By selling to refiners, even if such a transaction may result in a financial loss, it still counts as revenue; but doing the latter only increases the expense category and provides no benefits to the company’s revenues or asset value. Let’s assume an unsold jewelry stock is worth of 1,000 CNY. The retailer sells it to a refiner at 800 CNY, which results in a loss of 200 CNY. The inventory item on the retailer’s balance sheet is reduced by 1,000 CNY and the cash item increases by 800 CNY. The net result is that the total asset value of the retailer decreases by 200 CNY, then how can this practice provide benefits to the asset value? As an example, during a field research trip earlier this year, a local refiner indicated that one jewellery retailer has sold approximately 40 tonnes of unsold jewellery pieces to them in a single two month period. But this quote doesn’t mention what the unsold jewelry pieces become in the end. Possibly, these pieces become gold wires, which might be used by jewelry fabricators instead of becoming gold bars that flow back to the SGE. GFMS pretend the majority of gold in China is continuously recycled through the SGE, which is not true. Many refineries are note even approved by the SGE to supply gold bars. This argument is one of the oldest and most persistent. But we can be short about this; in the Chinese gold lease market nearly all trades are conducted within the SGE system. Any speculator borrowing gold for cheap funding will not withdraw his metal loan, as his incentive is to sell spot for the proceeds. GFMS fools readers by mentioning high leasing activity, but it neglects to mention leases aren’t withdrawn from the vaults. Only a jewelry fabricator would withdraw borrowed gold because he wants to fabricate products to meet demand. For more information you can read this post on the Chinese gold lease market. But as I’ve demonstrated in this and this post the majority of the “precious metals” on the Chinese bank balance sheets reflects back-to-back leasing. 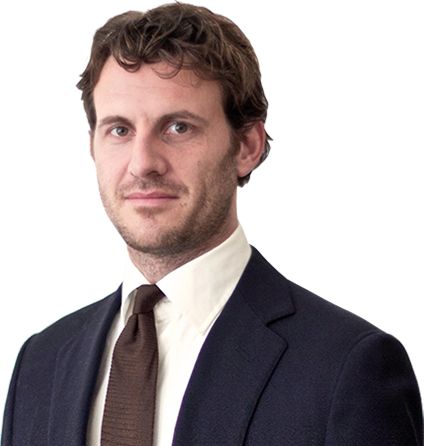 Meaning banks borrow gold in the SGE system to subsequently lend out at a higher lease rate. So neither do the Chinese bank balance sheets influence SGE withdrawals. What withdrawals largely reflect are direct purchases by individual and institutional investors at the SGE. True demand. There is a very limited extent to which the VAT scheme can explain the difference between GFMS’ demand and SGE Withdrawals. I wrote previously that indeed there is certain amount of gold being withdrawn from SGE vaults, which, for various reasons, finds its way back to the SGE in newly cast bars – overstating SGE withdrawals as a proxy for wholesale demand. Unfortunately nobody knows exactly the volume flowing through the SGE that distorts withdraw data. But, we do know the upper and lower bound. The upper bound is the difference between SGE Withdrawals and apparent supply, the lower bound is zero. Exhibit 3. Chinese gold supply and demand data. As supply and demand are always equal, to estimate demand we can measure supply. Exhibit 4. 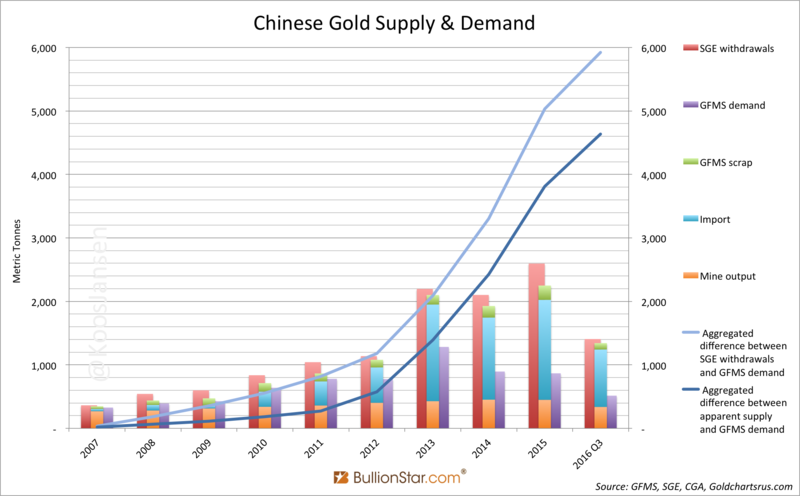 Chinese gold supply and demand data. Apparent supply is reflected by the center columns (mine output + import + scrap supply). Theoretically the upper bound for the VAT scheme to have recycled gold through the SGE equals the difference between SGE withdrawals and apparent supply (the difference in exhibit 4 between the red and center columns). That’s the sole leeway we can debate about. As supply equals demand, demand cannot be lower than apparent supply. I should add, not unimportant, we know GFMS’ scrap supply data does not include disinvestment (institutional selling directly to refineries). So disinvestment must be included in the difference between SGE withdrawals and apparent supply as well. Have another look at exhibit 3. But, because we don’t know the amount of disinvestment, neither do we know the amount of distortion (VAT scheme and other recycling flows). That’s why in exhibit 1 I’ve disclosed the aggregated difference between apparent supply and GFMS demand. There can be no mistake about this volume, it reflects true demand and it has mushroomed into +4,500 tonnes since 2007. GFSM can present many more arguments in future reports, but it won’t change the fact that true demand is at least equal to apparent supply. To be exact, from January 2007 until September 2016 apparent supply accounted for 11,541 tonnes, and GFMS’ Chinese gold demand accounted for 6,903 tonnes. The difference, which GFMS has pursued to conceal, has aggregated to 4,638 tonnes. And according to my analysis this was not bought by the Chinese central bank. Let’s see how much longer GFMS can deny reality. Exhibit 5. 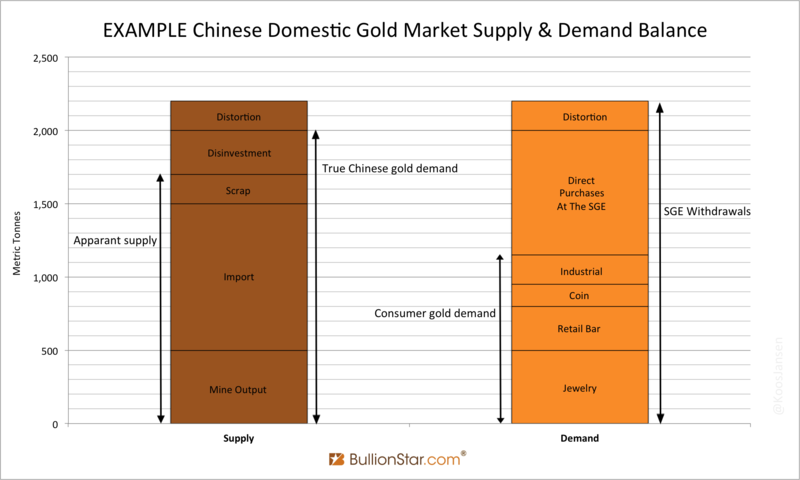 Chinese gold supply and demand data. Apparent supply is reflected by the center columns (mine output + import + scrap supply). For more detailed information with respect to GFMS’ incomplete global gold supply and demand metrics view this post. 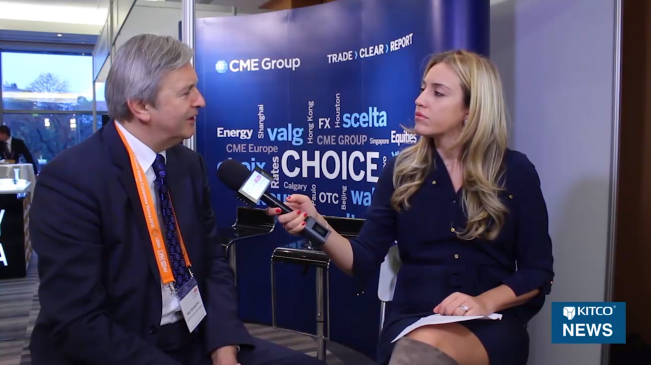 Debunking GFMS’ Gold Demand Statistics Shanghai Gold Exchange Physical Delivery 1750 tons YTD SGE Withdrawals 29 MT In Week 16, YTD 635 MT China Continues To Drain Global Gold Inventory China’s Secret Gold Supplier Is Singapore Dutch Central Bank Tight-lipped About Gold Policy How The World Is Being Fooled About Chinese Gold Demand Why Austria Is Repatriating Gold From London SGE Withdrawals Equal Chinese Gold Demand, Part 3 China Gold Import Jan-Sep 797t. Who’s Supplying? Hong Kong – China gold trade yearly Unprecedented Total Chinese Gold Demand 2013 Audits Of US Monetary Gold Severely Lack Credibility Second Thoughts On US Official Gold Reserves Audits How Much Gold Is China Importing And Does It Still Correlates to SGE Withdrawals?